To date, ATB stores in Kiev do not reflect the upmarket changes of the new store concept. 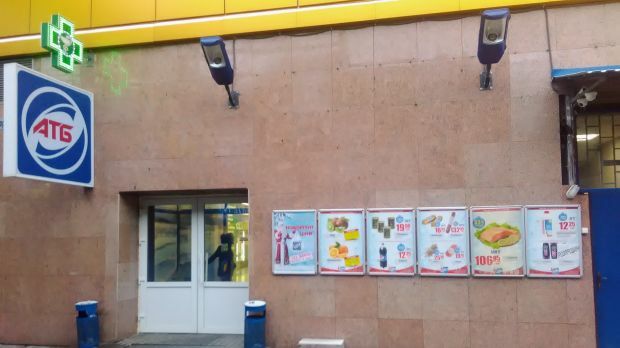 However, after refurbishment we believe that the network will have the potential to lure customers from larger formats such as Silpo, Furshet and Velika Kishenya. Ukrainian market leader ATB has disclosed plans to expand its network of discount-oriented supermarkets to 1,000 outlets by the end of 2018. The Ukrainian Retail Association (RAU) revealed in an interview with Boris Markov, Chairman of the Board, that the retailer plans to extend its footprint in the Western parts of the country, in Kiev and in the Odessa region, where to date it only operates a smaller number of shops. To create the necessary logistical base, the company will open distribution centres in Kiev and L’viv. During the first 9 months of 2017, ATB has already achieved revenues at the level of full year 2016, from its current base of 894 stores. ATB shows not only commercial but also economic resilience in times of crisis. Three years after the retailer lost 100 stores and a distribution centre because of the armed conflict in the east of the country, its store count is now back at pre-crisis levels. This is even more remarkable given ATB also had to abandon its Crimean operations shortly afterwards. With its Eastern home territories still in turmoil, the new strategic direction towards Kiev and L’viv – even if born out of necessity – is far-sighted and promising. The Western Ukrainian regions, less developed economically up to now, have gained in importance due to cross-border shopping and foreign currency income. ATB’s unusual move to acquire part of the L’viv-based Barvinok chain a year ago apparently served to investigate the local market. Results now seem to justify a stronger presence, which is bad news for smaller regional chains including Arsen, Vopak and Nash Kray. Even more interesting will be when ATB shares its plans as to how it will increase its footprint in wealthy Kiev. Here, the retailer already operates more than 120 shops and stands in direct competition with many other national chains. Among these, its most prominent channel peer is Fora – large minimarkets belonging to ATB’s main competitor Fozzy Group – currently at a store count of more than 130 in the capital. When we also take into account ATB's new store concept, which features an expanded assortment of quality brands in a more elegant, spacious and modern shopping environment, we believe that the 'Ukrainian Lidl' will be able to capitalise on the capital's higher purchasing power, while also winning over customers from existing supermarket competitors.